Hailed by The Telegraph, Harper's Bazaar and The Times to name a few, The Cary Arms 5* is a luxury hotel in a truly outstanding location. 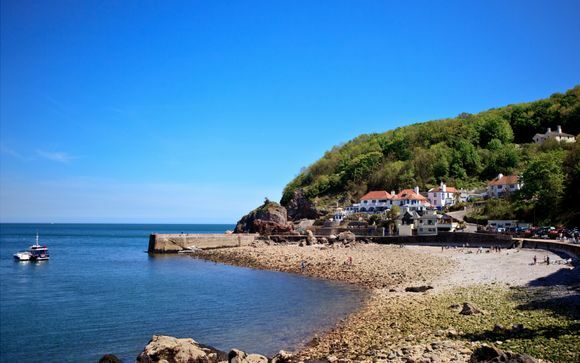 Set beneath the cliffs of Babbacombe Bay, the seafront hotel boasts excellent seaside gastronomy, a delightful must-visit spa and a variety of sea-facing rooms. Our members will be accommodated in a Sea View Room and will be treated to a 3-course seaside gastro dinner and a 50-minute Thalgo Spa treatment. Described by The Telegraph as 'nothing short of spectacular', the setting that surrounds the The Cary Arms is something to behold. 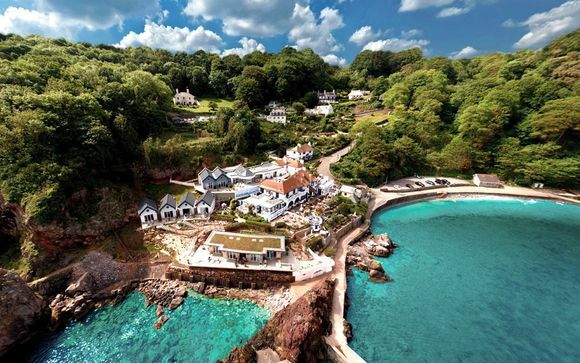 Set beneath the cliffs of the paradise-like Babbacombe Bay near Torquay on the South Devon coast, the seaside property enjoys a truly magical position. The pebbly Babbacombe beach and the South West Coastal Path is right outside the door, the vibrant harbour towns of Brixham and Dartmouth are closeby, and Dartmoor National Park is a 30-minute drive away. Marvel at the remarkable views of sun, sea and sky at this outstanding location. What’s it like? The sea pervades its every fibre. The Cary Arms sits right on the seafront, at the foot of Babbacombe’s 300ft cliffs, just round the headland from Torquay. The English Riviera just got very stylish. 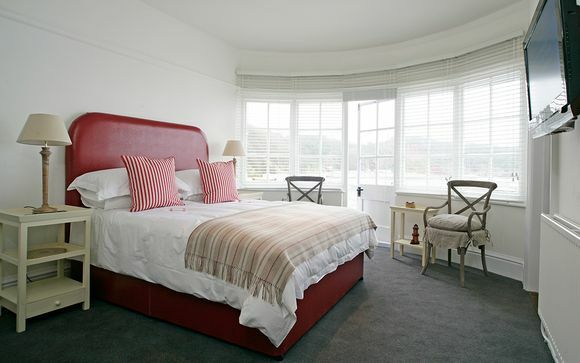 Characterised by its coastal charm, The Cary Arms is a seafront haven. Fusing the traditional values of a classic English Inn and the stylish elements of its luxury status, the property boasts excellent seaside gastronomy, a delightful must-visit spa and a variety of sea-facing rooms, suites and cottages. While away blissful days indulging in a spa treatment, picnicking on the beach, and having a leisurely lunch on the outdoor terrace, gazing out to crystalline waters. This delightful seaside hotel on Devon’s south coast is a setting from a Mills and Boon romance and a Famous Five adventure rolled into one. Queen Victoria was equally enchanted 150 years ago, rowing ashore with Prince Albert from the Royal Yacht on several occasions. International designer Kathleen Fraser was entrusted to the style of the sea-facing rooms at The Cary Arms. The result effortlessly exudes seaside lifestyle with refreshing touches and coastal inspiration. The rooms contain huge, comfortable beds, crisp bedsheets, cosy towels and bathrobes, a TV, tea and coffee making facilities, and White Company bathroom products. All rooms bar one boast a spacious terrace and look out to stunning views of the sea. Chef Ben Kingdon is at the helm at The Cary Arms, and with his love of local fresh food, has created new and exciting menus using the best local seasonal produce. 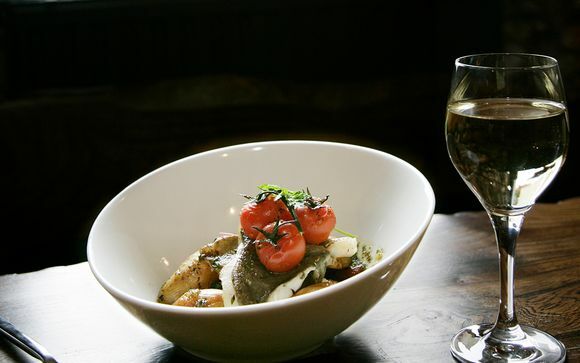 Cary Arms has been included in the Michelin 'eating out in pubs' Guide 2014, and uses a wide range of excellent Devon food suppliers for its ingredients. The 'catch of the day' has never been so fresh! 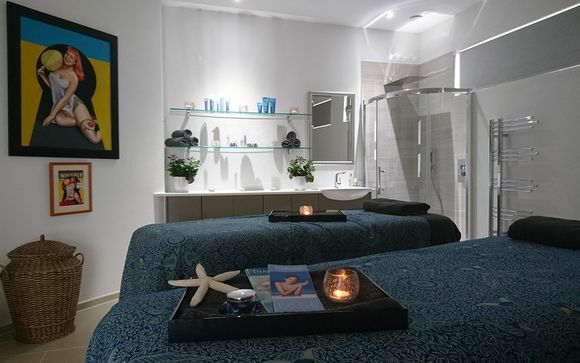 The award-winning spa at The Cary Arms houses a state-of-the-art hydrotherapy pool, aromatherapy and phototherapy shower, as well as steam rooms, a sauna and gym. It offers a wide range of treatments, with the 'Thalgo' treatments being the standout option due to the hotel's seaside location. Thalgo treatments are renowned for their incredible results. World leader and originator of the marine spa and beauty trend for over 50 years, Thalgo harnesses the riches of the sea so you can benefit from powerful healing, revitalising and rebalancing properties vital for health and well-being. Thalgo’s exceptional body treatments refine, relax and tone, while the facials offer spectacular results in anti-ageing, hydrating, purifying and much more. Breakfast on the terrace; walks along the beach; catching the sunset from a quiet spot on the top of the cliffs: the Cary Arms is the perfect location for a beautiful secret hideaway. From the M5 at Exeter, follow sign for the A380 to Torquay. At Ashcombe Cross, branch left then take second exit B3192 signposted to Teignmouth. On entering Teignmouth, at bottom of hill by traffic lights, turn right, take the coastal B3199 to Babbacombe, crossing the River Teign and continue following signs to Babbacombe. At mini roundabout continue forward on the B3199 signposted Babbacombe, Sea Front. Proceed pass Babbacombe Model Village and Bygones, straight on after traffic lights. Turn left onto Babbacombe Downs Road, continue along the Downs with the sea on your left finally turn left onto Beach Road.